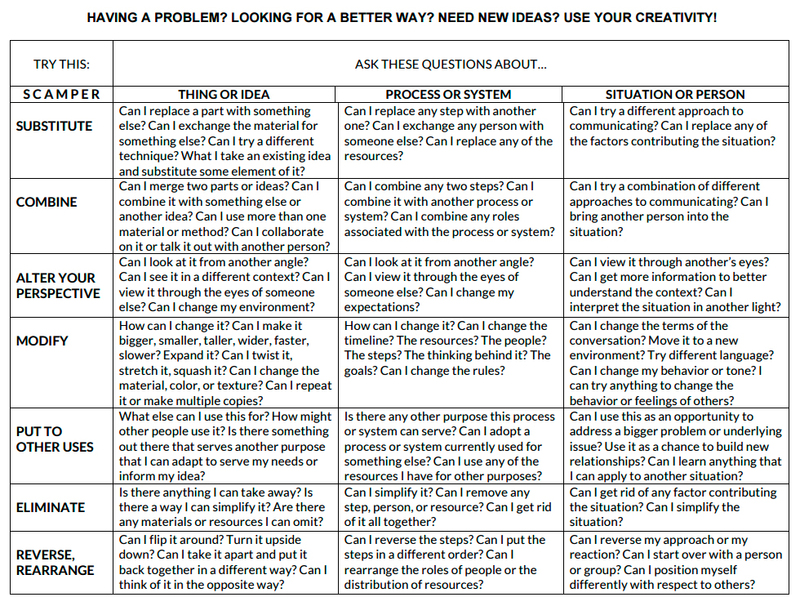 Found this great little matrix for problem solving from the folks at NextJump. It’s the SCAMPER model, developed by Bob Eberle in the 70’s and can be used for creatively analyzing a problem to find unique solutions. I think this tool could be extremely useful when coupled with principles from human-centered design, especially with immersion and qualitative research practices to uncover the core of a problem. Get your Post-it notes out and mindmaps ready! Sidenote: Dali was famous for using unusual methods to trick the brain into a new frame of thinking, like doing headstands or drawing in the bath tub.